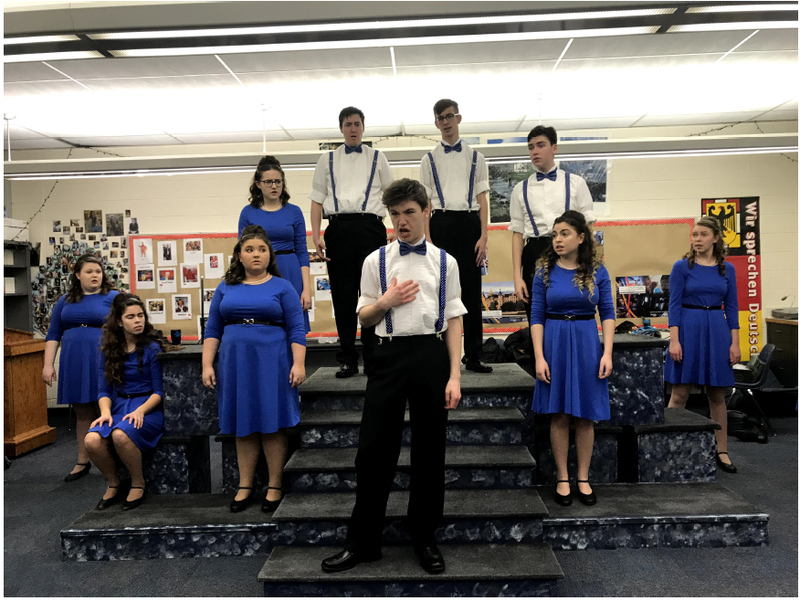 Despite facing several new challenges this year, the 2019 Group Interpretation season held more success for Spartans than ever before with a new type of performance and a larger cast. For students participating in group interpretation, or GI for short, this year had a very different feel from previous experiences. Instead of a deep, emotional story, the GI performed Something Rotton!, a comedy set in the Renaissance. The play features a playwright as the main character - who also happens to be competing with William Shakespeare himself. As a whole, there are many comedic moments and mishaps for the characters, which was admittedly quite a change for the Spartan performers. “This season went a lot differently than before. Previously, we’ve basically relied on very emotional and dramatic moments in our plays. This year, it was a lot more humorous and the audience was able to laugh and interact with the story more.” said senior Hannah Birkey, who performed as one of the ensemble members. Along with a new type of performance, the cast itself had changed. In order to compete with larger schools based in Chicago, the GI coaches felt it was necessary to increase the cast size. “Having a larger cast size definitely harder to focus at first. But once we got a flow going, practices went super well,” continued Birkey. But, those struggles weren’t without reward. The cast qualified for the State competition for the fourth year in a row. “I feel like the season went pretty well. We placed higher at state than we ever have before, although it was a little disappointing to not have finalled. Other than that, I feel like the season went pretty smoothly and really enjoyed the experience,” said senior Max Cleveland.